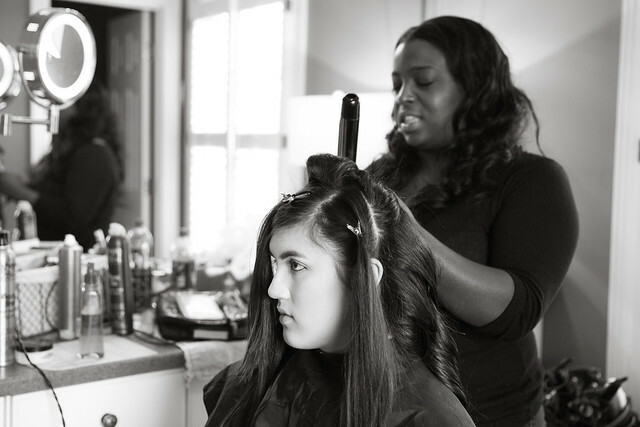 So back in November I had the pleasure of photographing Sarah Ngo for her senior portraits! Sarah is a cheerful young lady with a lot of ambition! She's a volleyball player, coaches a younger team, and is a theatre performer. And she is a straight up TROOPER, let me tell you... because the day of our session was not exactly a warm one... but she did fabulously none the less! 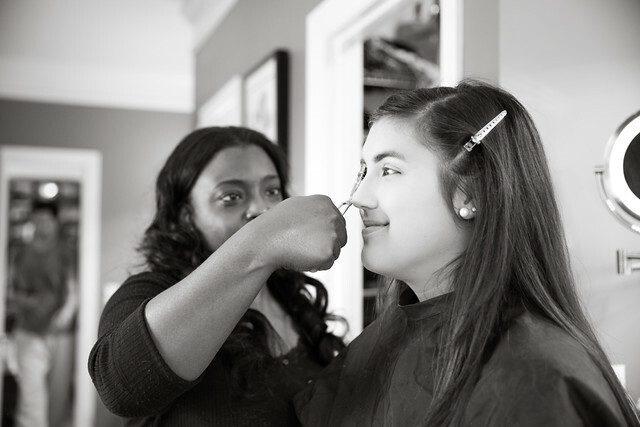 The day of Sarah's session, I met her and her family at her home, along with my hair and makeup artist for the day, Meko Davis of Makeup By Meko. 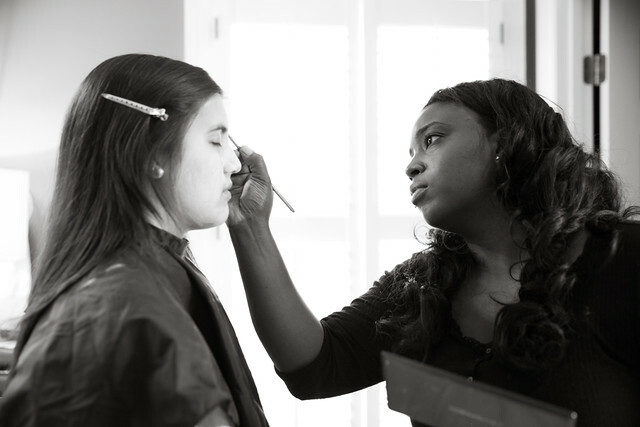 I had the opportunity to work with Meko a month or so prior to Sarah's session, on a makeup-centric test shoot with model, Lisa Van Atta, that I will be posting about later on. 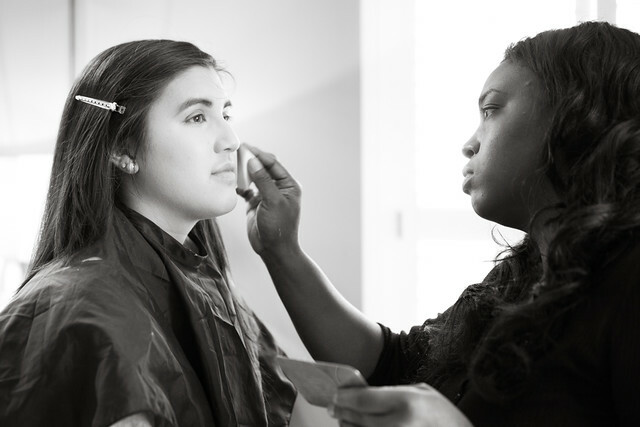 Because of that session and getting to experience Meko's fabulous work first hand, I knew she'd do a great job with Sarah, and I was not disappointed! 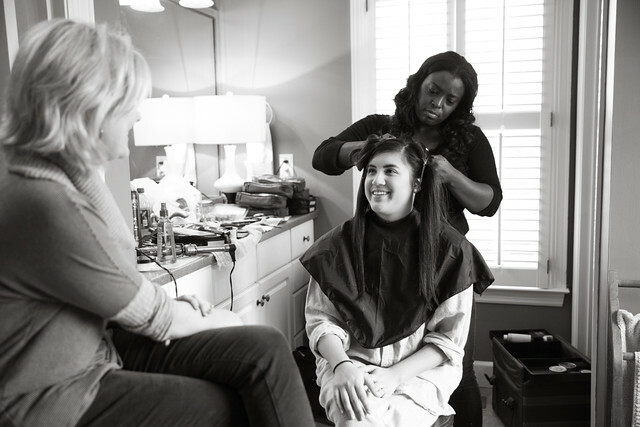 During our pre-shoot consultation, Sarah let me know that she wanted soft, luscious curls for her shoot, as well as a natural look for makeup. 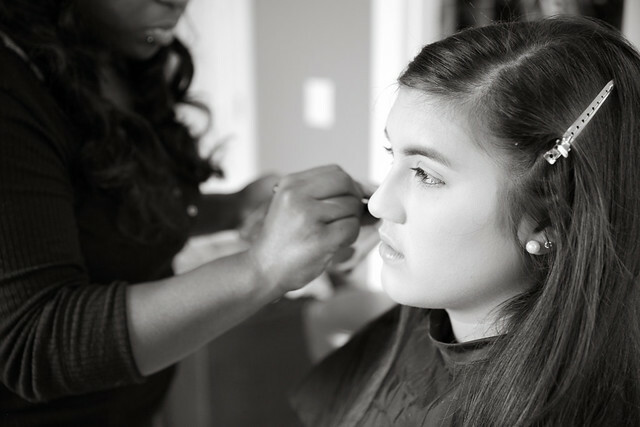 Meko was able to beautifully achieve what our goal was for Sarah's look, and I think everyone was pretty thrilled with the results! 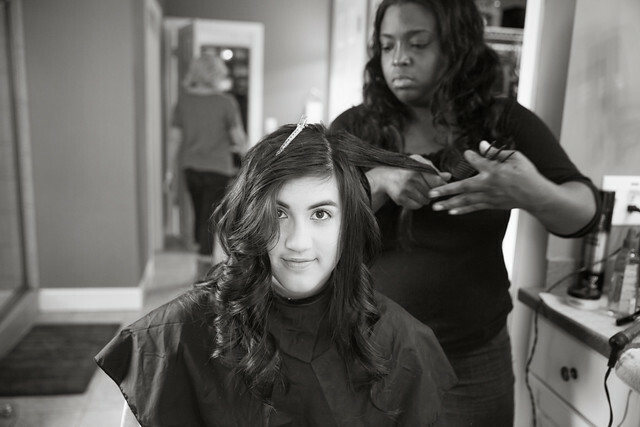 While Sarah was getting her hair and makeup done, we chatted with her about school, volleyball, theatre, her Thanksgiving break, her plans for the coming holidays, and of course we spent some time narrowing down her adorable wardrobe selections. She had so much to choose from, and it was all so awesome, it was hard to pick out just a few outfits! Once we had Sarah's outfits narrowed down, we hashed out a plan for how were were going to attack the multiple locations we had planned for her session. It was definitely an adventure bouncing from location to location, and I was a little concerned that it would wear Sarah out, but once again she proved to be a tough gal and she kept on pushing ahead full steam until we were finally finished. 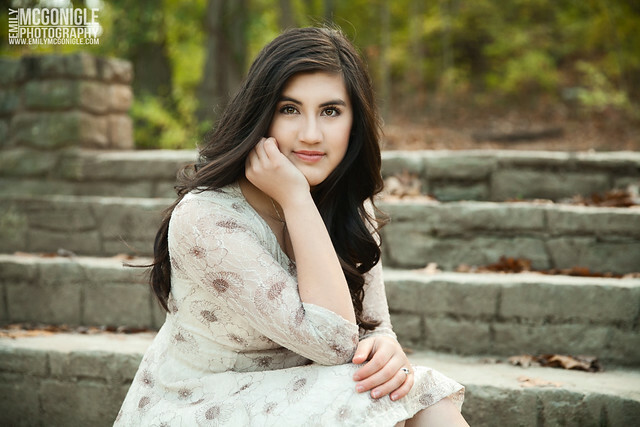 At the end of Sarah's session, we found ourselves in downtown Franklin. It was freezing cold, but Sarah's step-mom, April, was very sweet and treated everyone to coffee from Starbucks, while we continued to work, so we could all keep warm! All in all, Sarah's shoot was a successful one, despite the bitter temperatures, and it was certainly a blast working with her, her father Bao, and April!